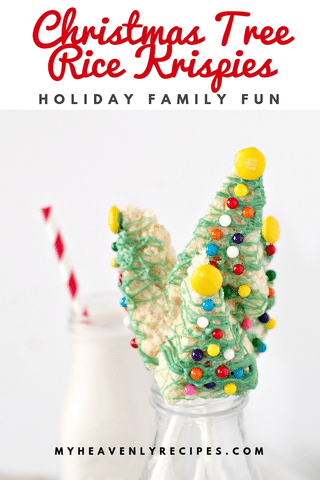 Christmas Tree Rice Krispies are a fun treat for kids and adults alike and are lots of fun to make. During the holidays I like to make sure that my holiday dessert table is full of fun, colorful treats that serve as decor as well as tasty treats. 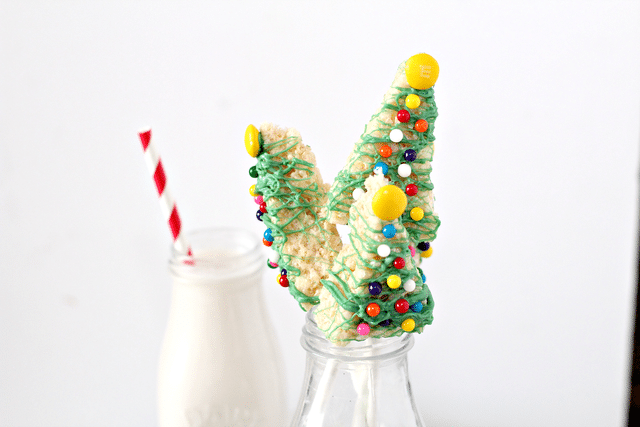 Christmas Tree Rice Krispies are a great treat for kids Christmas parties and holiday gatherings. The kids will have a blast making these with you too. 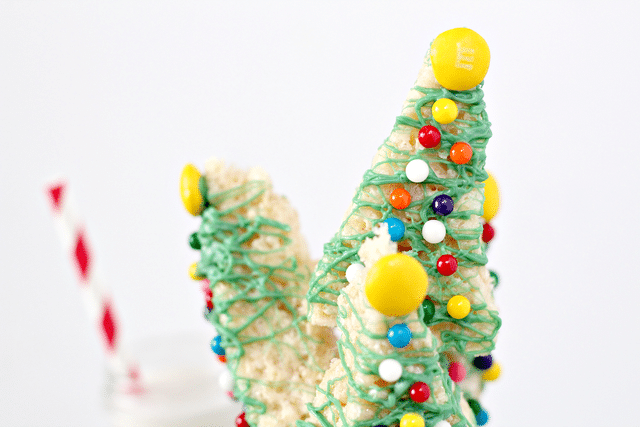 Making these Christmas Tree Rice Krispie treats is a great way to spend time together. It’s a great activity to do while the kids are out on holiday breaks. 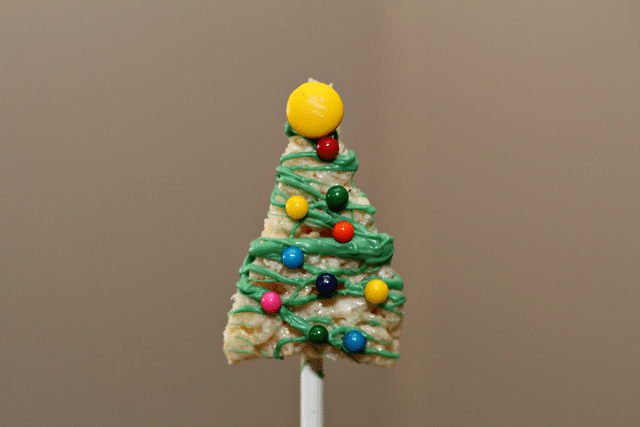 Are Christmas Tree Rice Krispies hard to make? NOT AT ALL! I’m sure you have made Rice Krispie Treats in the past, right? If so, you are already a pro. You just need to do a little cutting and decorating! 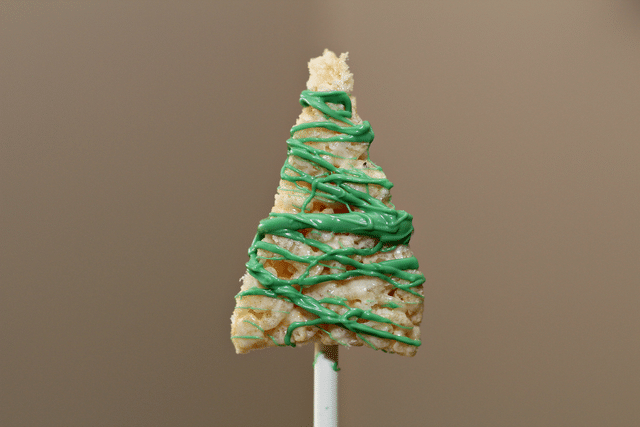 I love to pack up these Christmas Tree Rice Krispies and deliver them with holiday cards as fun, food gifts. These treats pack very well in holiday plastic wrap or in disposable food storage containers and make a great, fun little holiday present. Just decorate with a little bow or ribbon and you have an instant gift! This is a fun and tasty treat to make that makes a delightful addition to your fun holiday treat table. Great for holiday parties, potlucks and just to have on hand for feeding a festive crowd. A fun food activity for kids to do during their time off during the holidays. You can apply all different colors of candies, or you can stick with a color theme such as all green and red. If you prefer, you can make the Rice Krispie treats homemade. 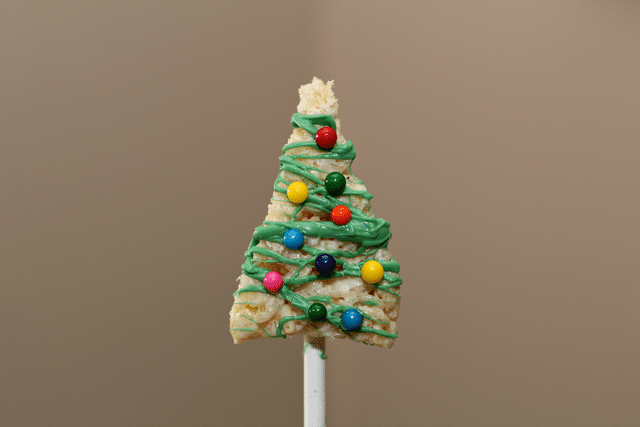 If you do make the Rice Krispie Treats homemade you can add green food coloring to fully get a “tree” effect. Be sure to add your sprinkle candies before the melting chocolate sets so they stay put! 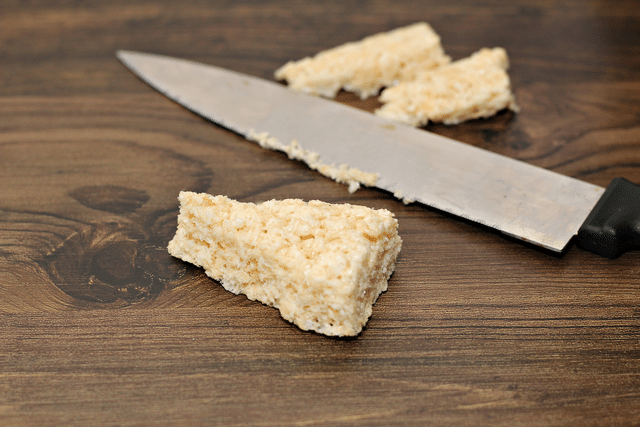 Start by cutting the top corners off each rice crispy treat, as shown. 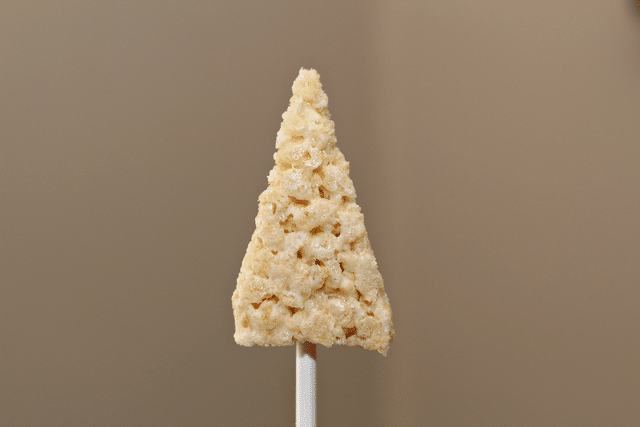 Place a cake pop stick down the center of each rice crispy. Melt down your green chocolate in the microwave. Use 20-second intervals, while stirring after each, until completely melted. Drizzle melted chocolate over rice crispy treat, as shown. Before chocolate hardens, add assorted sprinkles. Take a yellow M&M and drop a small dot of chocolate on the back. Place the M&M chocolate side down on the top of your tree. 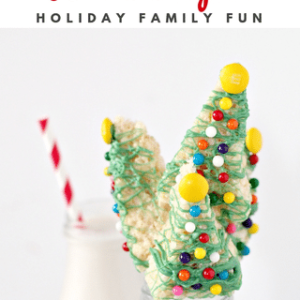 Have a little fun with the kids and create your own Christmas Tree Rice Krispies to share with friends, family and neighbors!